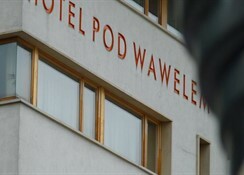 Lying literally at the foot of the city's historic castle, the excellent 3-star pod wawelem hotel hotel (translated as ¿under wawel castle¿) could not be better situated for both leisure and business travellers. Contemporary elegance and comfort is combined with history and tradition. Not only does the hotel offer warm, clean and comfortable accommodation, but the views from the hotel's rooftop terrace are unsurpassed! With wawel castle towering over the hotel on one side, the bends of the vistula river meandering beneath the hotel on the other side, and the tatra mountains in the distance (on a clear day of course! ), Guests couldn't wish for a better photo opportunity! 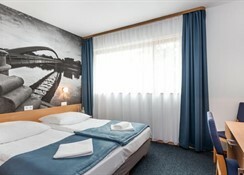 All guestrooms, regardless of type, are equipped with individually controlled air-conditioning and heating, radio, tv, internet access, tea/coffee facilities and bathrooms with shower and hairdryer. The buffet breakfast, with both hot and cold dishes, is served in the hotel restaurant and assures guests a hearty start to each day. In addition the hotel invites guests to enjoy a drink, or two, in the hotel bar (with outside seating during the summer months) or the downstairs sports bar with it's wide screen tv ¿ perfect for those regular football and sporting events.